Scientists have identified a mineral signature for sites that are more likely to contain rare fossils that preserve evidence of soft tissue — essential information to understanding ancient life. Much of what we know about the earliest life on Earth comes from the organic remains of organisms without hard parts. Yet the vast majority of fossils rely on hard tissue such as shells, teeth, and bones for their preservation. Soft tissue parts, such as eyes and internal organs, tend to decay before they can fossilize. This also is true for organisms made up entirely of soft tissue, such as worms. A major exception to this is the Burgess Shale in Canada, a 508 million-year-old deposit that contains a trove of fossils, some with shells but the majority without, from the Cambrian explosion of animal diversity on Earth. 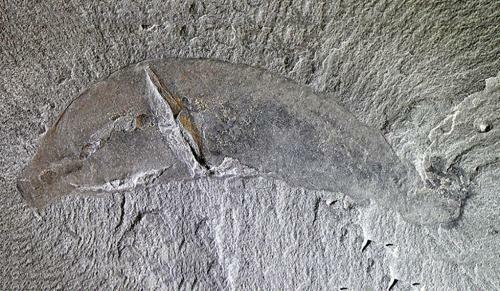 The Burgess Shale and similar deposits have provided the basis for a wellspring of scientific research.